Phalgun arrives after the end of a dry, winter season and the flowers and fresh crops everywhere are signs of the first day of spring. Rabindranath Tagore had been so inspired by the spirit of Holi, that he had decided to introduce the Bashanta Utshob or the 'festival of spring', at Shantiniketan. Young students would wear colourful clothes commemorating the spring season. Several cultural programmes would be organised and staged on this day, including group choreography, songs, drama and much more. The young people would also engage themselves in the play of smearing colour on each other with abeer. 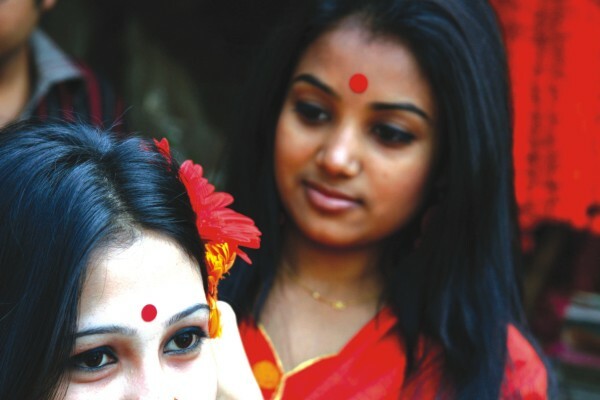 In Dhaka Bashanta Utshobb, or the Spring Festival, is celebrated on the first day of Phalgun on February 13, bidding farewell to winter with much enthusiasm. This festival has become a very important part of our Bangali culture.